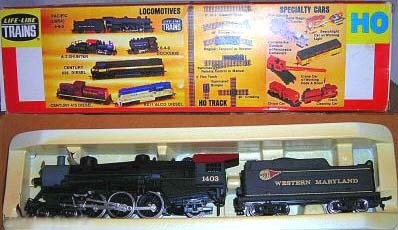 A new item at the 1973 Chicago Hobby Show was Life-Like's 4-6-2 Pacific. The ACL model was the one on display at the show that year. The 1973 retail for this model was $35, according to a Life-Like price list dating from '73. The ACL 4-6-2 is joined by a B&O example in that same price list. The tooling for this 4-6-2 Pacific appears to match that of an AHM offering from the later part of the '70s, after Life-Like had cataloged this model. This model also appears to be the basis for more recent IHC offerings of this steam engine.